I’ve chosen the Ionic Pro Turbo air purifier to review this week because the manufacturer promises an impressive coverage area of about 500 square feet for a very low price. Unlike the majority of the air purifiers that I’ve checked out, this one is an ionic purifier. Its efficiency and the way it works differs from standard purifiers with filters. I’ve also read how quiet this air purifier is and how easy it is to clean. Let’s take a deeper look at this model to figure out of it’s all the manufacturer claims it to be. There’s a big difference between a regular and an ionic air purifier. The major one is the use of filters. An ionic purifier doesn’t have filters, so it works in a very different way to your standard air purifier with HEPA filters. The unit releases negatively charged ions into the air, thus reducing the concentration of positive ions. 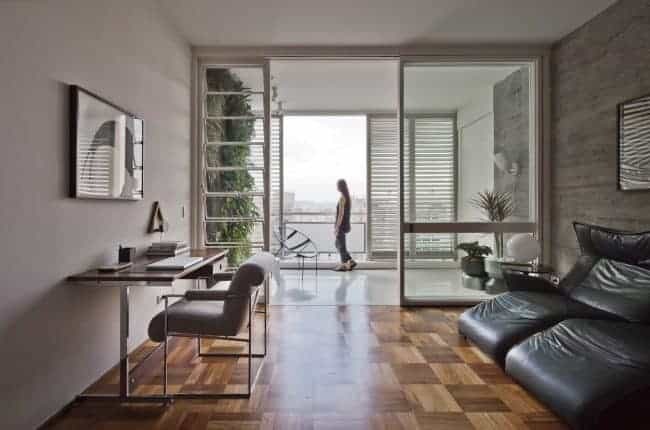 An Ionic air purifier creates negative ions and spits them out into the surrounding air in the room. These ions then bind themselves to small airborne particles such as dust mites, mold spores, pet dander, bacteria and viruses. This reaction causes lots of microscopic particles like this to clump together to form larger pieces. These clusters become too heavy to stay airborne and settle on the surfaces in your room where you can wipe them off during the next cleanup. Some of them get attracted to the purifier’s collection plates, which need regular cleaning. Even though the Pro Turbo doesn’t have an activated carbon filter to deal with strong odors, it still does a fair job dealing with most household pongs. While this air purifier may not be sufficient to remove cigarette smoke in a room where a smoker lives, it’s great for general household smells and will leave the air smelling fresh throughout the home. Since no filtration occurs, the purifier doesn’t need a filter. This substantially reduces the maintenance fees, virtually nullifying them. You still need to clean the air purifier by wiping its components every few weeks or so though. Essentially you are trading extra work for cost savings on expensive filter replacements. In fact, this model will tell you when it’s dirty by turning the “clean” light on. However, it’s better to set up a cleaning schedule in order for the light not to go on at all. 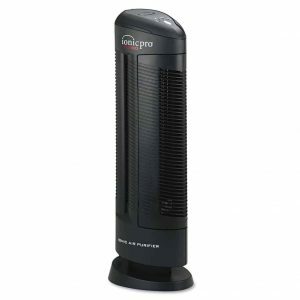 Overall, this ionic air purifier does a fairly good job dealing with the majority of harmful particles. However, it can’t produce air as clean as a purifier equipped with a HEPA filter. It can be a wonderful addition to a HEPA filter unit. To make things clear, an ionic purifier takes care of particles 1 micron in diameter while HEPA filters deal with contaminants 0.3 microns in diameter. 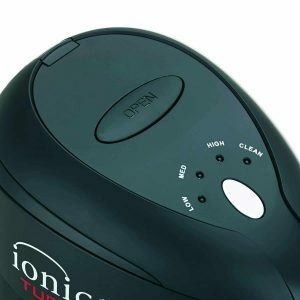 So, an ionic air purifier is not going to be able to clean the air to a medical grade level – but it will still do a good job for most people. Another thing you have to remember when using such an air purifier is cleaning the surfaces on a regular basis. If not removed, the harmful particles are likely to return to the air, contaminating it once again. So while you are saving money on regular filter replacement, you have to put in some effort to help the air purifier get the job done. This air purifier has a wonderful tower design. It’s slim and compact. The dimensions are 7.5 x 28.5 x 9.5 inches and 8 pounds. You can easily install this model in any room without having to free up too much space for it. The air purifier is quite tall, so you can’t place it on a shelf or a coffee table due to the danger of tipping and falling. It’s important to install the air purifier in such a way that it’s not blocked by other objects. It should be positioned at least 12 inches away from the wall. Thankfully the Ionic Pro Turbo is quite a light machine, so you can easily move it from one room to another. Remember that placing it in a humid environment or near hot surfaces, such as fireplaces, can damage the unit. Thus, you are somewhat limited to where you can use the air purifier. Bathrooms and some of the kitchens, where the humidity is high, are off the limits as the excessive heat or humidity can inhibit the ionic functionality. The air purifier produces a slight smell of ozone. This may “scare” some users off. However, the model is built in compliance with U.S. safety requirements for low ozone emission (less than 50 parts per billion), so it’s completely safe to use. The smell may be annoying if you use the air purifier in a small room or a cubicle. So I would recommend buying it for living rooms or large bedrooms. The Ionic Pro doesn’t have too many smart options, which is unfortunate. It lacks an air quality sensor. Thankfully, the unit is highly energy efficient, using only 20 watts, so you can run it for lengthy periods of time without straining your budget. However, I would still appreciate at least a timer. Clean Light – This light indicates the time when you need to clean the purifier blades. Medium – Good for medium to large sized rooms. High – Good for large rooms and dusty spaces. There is no sleep mode so you can’t dim the panel lights, which isn’t great for light sleepers, who appreciate complete darkness. This ionic air purifier is very quiet. 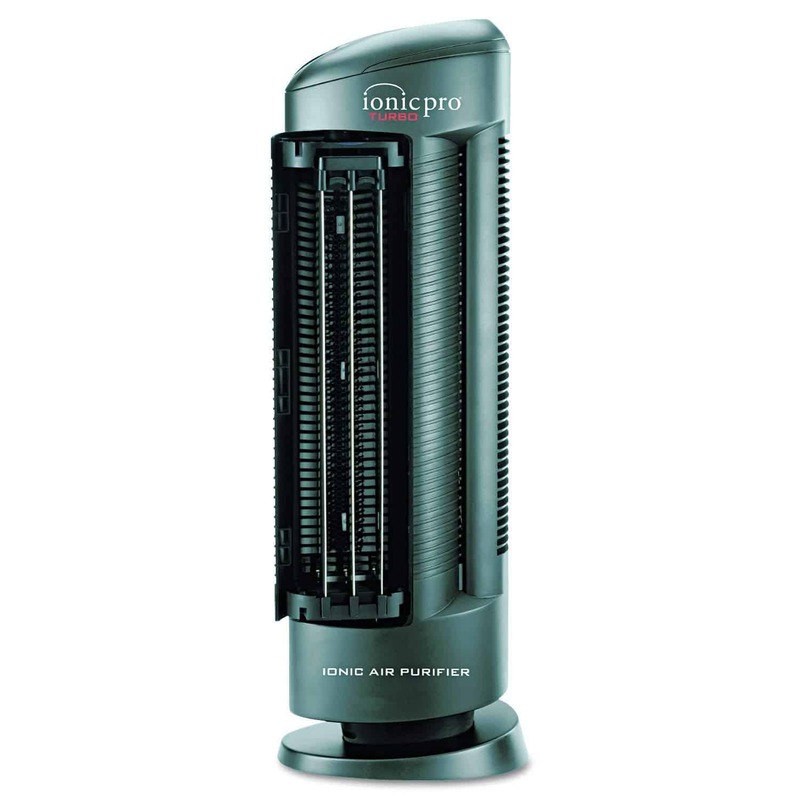 In fact, at the highest fan setting, it produces only 30 dB, which is akin to a whisper. It’s an excellent unit for a bedroom since the sound definitely won’t interfere with your sleep. The only thing I would recommend light sleepers is not to ignore the “clean” light. When the unit gets dirty, it produces an unpleasant cracking sound. If it happens in the middle of the night, you could be in for an unpleasant wakeup. This ionic air purifier doesn’t have a CADR rating so we can’t calculate the coverage area. However, ionic purifiers do have the ability to clean large rooms. This one is a rather powerful unit with a large collection grid. So I agree with the manufacturer that this air purifier is good for extra-large rooms of about 500 square feet, however let’s still keep in mind that the unit is only collecting particles 1.0 microns in diameter and so not deep cleaning the air as much as a regular air purifier. To work properly in a large room the unit’s collection grid and blades must be cleaned at least once a week. The air purifier comes with a not-so impressive one-year warranty. The unit is sensitive to humidity and moisture, so it’s highly important to keep the conditions right. Otherwise, the warranty won’t help. This ionic air purifier is suitable for large rooms. It deals with a variety of harmful contaminants in the air. The unit has an excellent design and a simple interface. It’s very quiet. I would recommend this particular model to people without allergies or respiratory conditions. Even though the air purifier can keep the air clean and fresh, it’s unable to deal with small allergens under 1 micron in diameter. 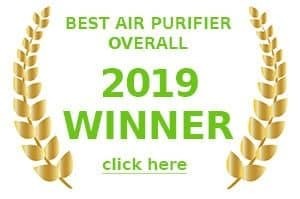 The Ionic 90IP01TA01W Turbo Air Purifier is a fantastic unit for those of you who are on a budget and can’t afford to replace the filters once a year in a regular unit. Unfortunately this benefit does come with a different price however – It doesn’t quite clean the air as well as a regular air purifier with a genuine HEPA filter. It will still do a good job, but not one thats good enough for chronic allergy sufferers like myself.